As I look at topics that the BACC co-bloggers have addressed in the past few months, I see an overarching theme that has emerged, and it is a theme that reveals the morphing nature of our profession. All libraries-academic, public, private, and school are transforming and adapting services and resources for information and digital age learners in today’s world. Successful libraries are led by dynamic, creative professional librarians who have a vision for the future, and are willing to advocate for the value of libraries in their individual communities or institutions. In a democratic society, libraries provide intellectual and social clearinghouses for citizens to learn and grow. Librarians continue to curate collections and to respond to a user’s individual and unique information and literacy needs. Since Benjamin Franklin envisioned the public library in Philadelphia, equitable access to information has remained the mission of libraries as educational institutions for all citizens. That mission is even more important in contemporary society, with the digital divide that continues to separate the haves and have-nots. Those of us who have discovered librarianship know this is an exciting and dynamic profession for the future, and we want to share the good news and attract like minded folks to join our ranks. How do we dispel old fashioned notions about libraries and the role of the librarian? How do we get the word out? Who are the movers and shakers we need to target to promote library programs and to expand the profession? Of the varied and comprehensive resources in the toolkit, I would like to focus on two excellent advocacy tools for practicing school librarians to share with administrators and classroom colleagues. Now that “new rules” have been established in the Federal Elementary and Secondary Education Act, 2015 (ESSA-Every Student Succeeds Act), school librarians have to maximize opportunities to share the impact of school library programs on transformational learning for digital age students, so let’s be active participants in future educational directions. As you walk the walk and talk the talk, share this article by Ann Martin and Kathleen Roberts. Start a conversation about digital learning…. This article in the magazine of the National Association of Elementary School Principals (NAESP) explains that although today’s K -12 students typically show confidence and familiarity with digital tools, there still exists the need for professional instructional guidance from school librarians in evaluating information, navigating online spaces with safety and civility, and learning productive use of online tools and spaces. Many schools have implemented capstone projects to demonstrate proficiency based learning. Do you have capstone projects in our school? What is the role of the school librarian in providing guidance and support for passion projects and community based learning projects? What individual interests are supported in relevant library resources? How are school librarians actively involved as facilitators for student inquiry and proficiency? Use this informative report to spark ideas with principals and co-teaching colleagues. This preliminary report on the implementation of student-centered Senior/Capstone Projects explores the many ways in which school librarians can be involved in such projects. In addition, it offers links to multiple resources in the United States, including exemplars of school librarian leadership and classroom teacher collaboration. View the related Position Statement on the Role of the School Librarian in Senior/Capstone Projects. As you look forward to summer months and plans for a new school year in the fall, take time to reflect on ways to continue to tell your school library stories through the lens of the learner, and the lens of all the wonderful folks who work for successful learning in a school community. Be part of the story! AASL Senior/Capstone Project Task Force Report. ALA.org. May 2014. Web. 25 May 2106. <http://www.ala.org/aasl/sites/ala.org.aasl/files/content/aaslissues/advocacy/AASL_ExecSummary_SeniorCapstoneProjectTF_2014.pdf>. Educators of School Librarians Section. “Preservice Toolkit for Principals and Teachers.” ALA.org. Mar. 2016. Web. 25 May. 2016. <http://www.ala.org/aasl/sites/ala.org.aasl/files/content/aaslissues/toolkits/PreserviceEducators_Toolkit_FINAL_2016-03-17.pdf>. Martin, Ann M. and Kathleen R. Roberts. January/February 2015. “Digital Native ≠ Digital Literacy.” Principal Magazine, 94 (3): 18-21. Web. 25 May. 2016. <http://www.ala.org/aasl/sites/ala.org.aasl/files/content/aaslissues/MartinRoberts_JF15.pdf>. This month the BACC co-bloggers are sharing their thoughts about the “Pre-service Toolkit for Principals and Teachers” recently released by the American Association of School Librarians (AASL). The Educators of School Librarians Section (ESLS) of AASL developed this toolkit to help practicing and preservice school librarians and school librarian educators talk with our constituent groups about how school librarians help library stakeholders reach their goals. The opening line frames the toolkit in terms of the interdependence of all members of the school learning community: “There is no question that the success of school library programs depends upon the support of the principal and the school librarian’s ability to collaborate with teachers” (2). AASL charges school librarians with serving their schools in five roles: leader, instructional partner, information specialist, teacher, and program administrator. There are many challenges inherent in educating preservice principals and classroom teachers regarding the capacity of state-certified school librarians to serve in these roles and improve teaching and learning in their schools. These challenges include the sad fact that too many schools lack a professional school librarian on the faculty and preservice principals and classroom teachers may not have had first-hand experience of working with a dynamic school librarian. In my role as a school librarian educator, I have had two exceptional opportunities to speak with preservice principals and classroom teachers. Thanks to Teresa Starrett, my Texas Woman’s University colleague in Educational Leadership, I have had the opportunity to speak with future principals enrolled in a course called Professional Development and Supervision in Education. I have posted resources online for a 60- or 90-minute agenda: “What Every Principal Should Know about Evaluating a School Library Program and a School Librarian.” The resources include a one-page assessment based on the school librarian’s five AASL roles. In 2013-2014, along with TWU colleague Jennifer Richey and Denton-area educators, I had the opportunity to provide two three-and-half hour workshops for a total of 163 preK-12 preservice teachers. 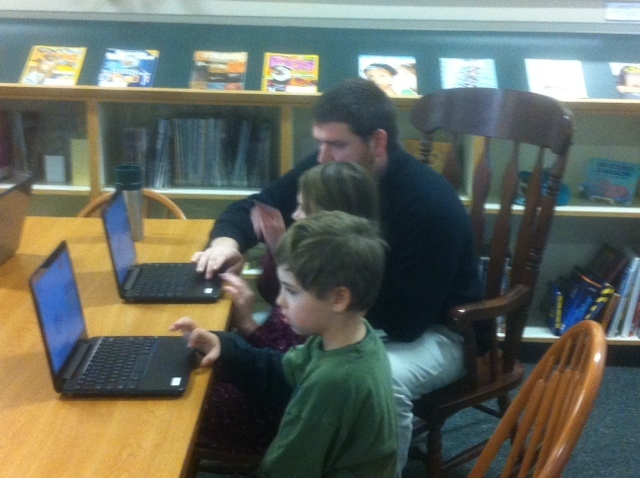 At the time of “What Every Preservice Teacher Candidate Should Know about Working with the School Librarian,” they were conducting their student teaching. This links to a Slideshare of the opening session in which Becky McKee and I demonstrated collaborative planning. I published an article in Teacher Librarian magazine about the research study based on these workshops. These presentations had two things in common. In both, our goal was to change the preservice principals’ and classroom teachers’ paradigm of teaching as a solo activity. We also included a role play of a classroom teacher and school librarian coplanning a unit of instruction in both. This helped the participants see the benefits of coplanning to students, classroom teachers, school librarians, and to principals, too. Educators of preservice school librarians and preservice classroom teachers and principals “should make concerted efforts to demonstrate the value of classroom-library collaboration for instruction during preservice teachers’ (and principals’) preparation programs. Still, it is up to practicing school librarians to reach out to student teachers and make sure that mentor teachers are given extra attention while they are guiding the student teaching experience” (16). It is also up to those in the field who are providing exemplary practice to show their principals the school librarian’s capacity to contribute to the school’s academic program. The “Pre-service Toolkit for Principals and Classroom Teachers” provides multiple resources for thinking, discussing, and presenting the roles of school librarians in student learning: articles, blogs, books, brochures and infographics, posters, reports, research, and videos. Thank you to the ESLS committee members who curated all of these materials and put them together in one easily accessible place. Educators of School Librarians Section. “Preservice Toolkit for Principals and Teachers.” ALA.org. Mar. 2016. Web. 5 May. 2016. <http://www.ala.org/aasl/sites/ala.org.aasl/files/content/aaslissues/toolkits/PreserviceEducators_Toolkit_FINAL_2016-03-17.pdf>. Moreillon, Judi. “Making the Classroom-Library Connection.” Teacher Librarian 43.3 (2016): 8-18. Moreillon, Judi and Becky McKee. “What Every Preservice Teacher Should Know about Working with the School Librarian.” Slideshare.com. 24 Mar. 2014. Web. 5 May 2016. <http://www.slideshare.net/jmoreillon/what-every-preserviceteacher0314>.